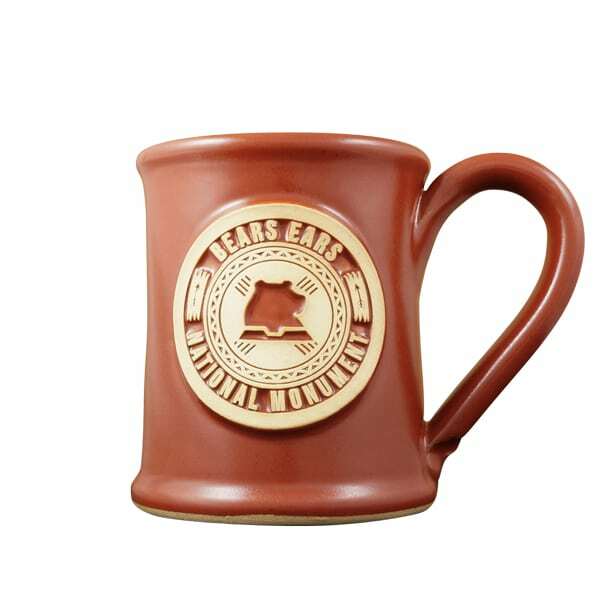 The Slimline coffee mug really is our “best seller.” It seems to hold just the right amount of coffee while still having lots of room to show off your custom logo medallion and your latte art! 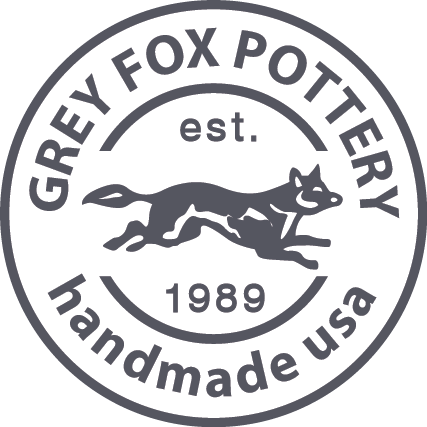 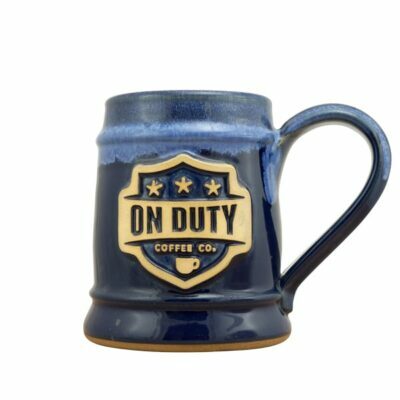 Before their grand opening, Bean Coffee Roasters came to us––they wanted to give their customers a truly unique mug that wouldn’t be found at a big chain coffee shop. 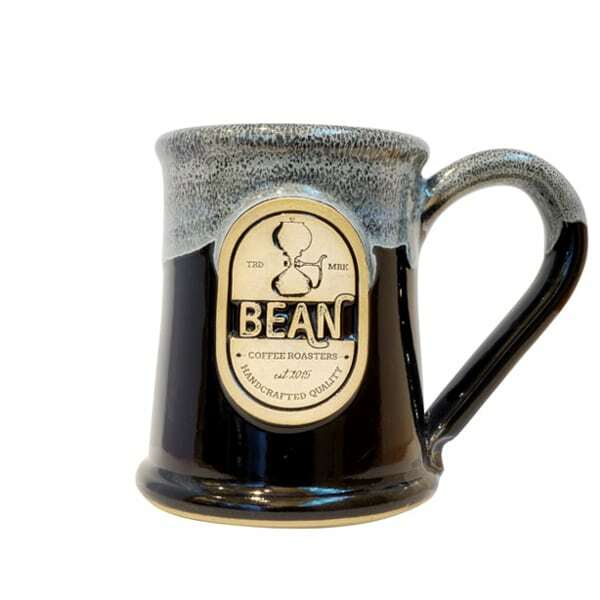 The Bean roasts their beans every day, producing fresh, locally-made coffee onsite, and they wanted handmade pottery mugs to reinforce the art behind their craft. 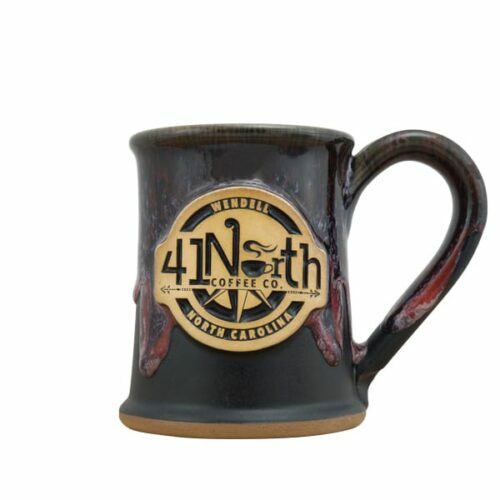 They chose our Slimline handmade coffee mug with black glaze and a white rim. 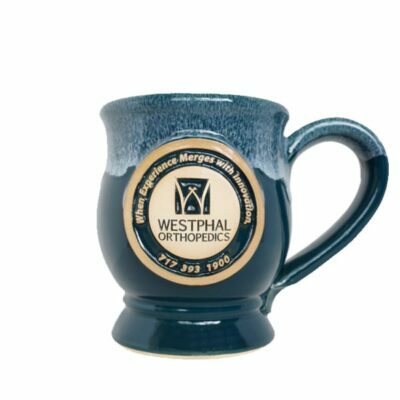 We love the depth of color that the molten overglaze gives on this mug, but you can choose your own favorite glaze. 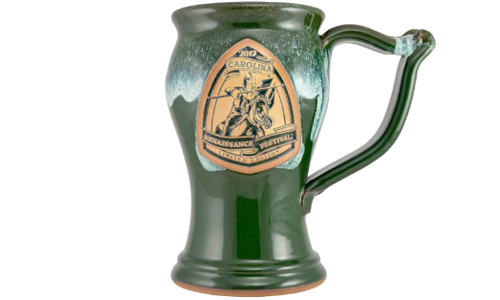 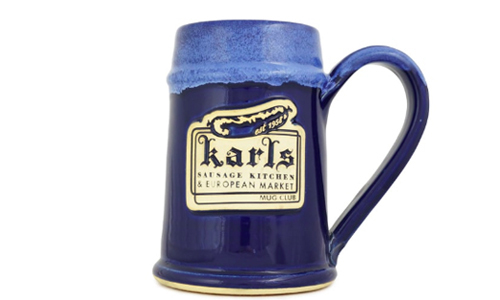 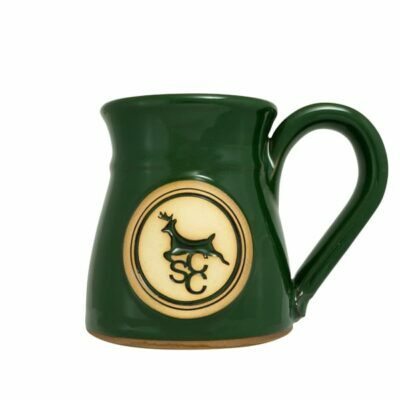 Does your coffee shop need unique mugs to offer to your customers? 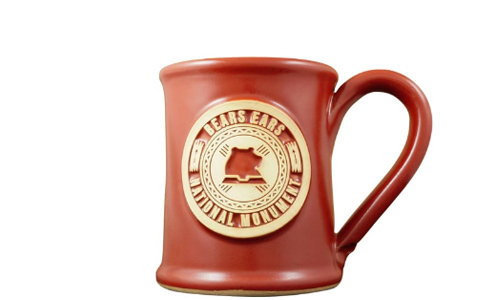 Our low minimum order quantity of 48 pieces allows you to gradually phase out old coffee cups––or simply add more variety and watch your retail sales grow!